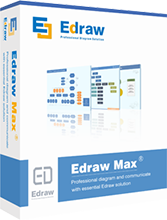 Edraw Max is a cross-platform diagram software, with features that make it perfect not only for professional-looking flowcharts, org charts, network diagrams and mind maps, but also building plans, charts, workflows, fashion designs, UML diagrams, electrical diagrams, maps and more. 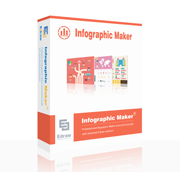 It includes 280 types of diagrams. 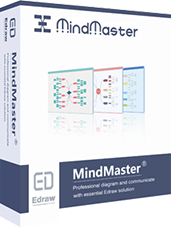 MindMaster is a professional mind mapping tool with powerful toolkit and versatile themes. It allows users to create mind maps for different purposes and covers advanced functions like gantt chart mode and slide presentation, which is widely used by business, education, government, social organization, etc. It's the best mind mapping solution. 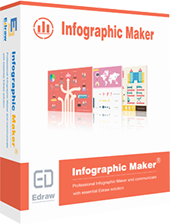 Edraw Infographic is an intuitive, easy and smart graphic design software with special UI, tools, symbols and templates for creating infographic, flyer, poster, brochure, banner, card, presentions and ebook. It's ideal for graphic design users. Create professional-looking organization charts to visualize your company data for better strategic planning and decision making. Help human resources department with employee data management and workforce planning.It's a professional organizational chart maker. Edraw Project utilizes a Gantt chart to help users manage and plan for their projects. With it, users can schedule tasks, allocate resources, track progress, and predict costs.It's a professional Gantt Chart maker. 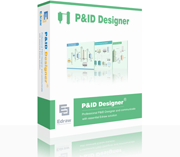 Create professional-looking piping and instrument diagrams and industry automation diagram. It has more than 4000 P&ID symbols. Create floor plan, office layout, home plan, seating plan, but also garden design, fire and emergency plan, HVAC and elevation diagram.It includes about 20 types of diagrams. Feature-rich flowchart software, free flowchart examples and templates that will allow you to create professional looking flowcharts simply.It includes about 10 types of flowcharts. 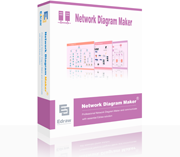 Easy network design software for network design drawings. Support basic network diagram, Cisco network topology diagram, 3D network design.It includes about 20 types of diagrams. Create business card, invitation card, post card, greeting card, christmas card, new year card, birthday card, and presentation. 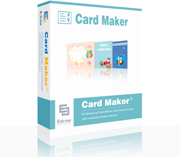 Include more than 10 types of cards. Create science illustration, infographics, flowchart, mind map, chart, engineering diagram, form, presentation and basic diagram. It includes about 50 types of diagrams. 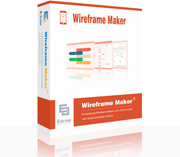 Create wireframe for iOS, Android, Windows and Website. Include thousands of wireframe icons.Include about 10 types of wireframes. Edraw Office Viewer Component acts as an ActiveX document container for embedding Office documents (including Microsoft Word, Microsoft Excel, Microsoft PowerPoint, Microsoft Project, and Microsoft Visio documents) in a custom form or Web page.Support Word, Excel, PowerPoint. Edraw Viewer Component for Word is the enhanced solution of office viewer and focus on the Microsoft Word. Support MS Word. 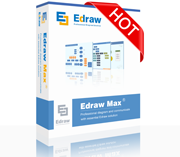 Edraw Viewer Component for Excel is the enhanced solution of office viewer and focus in the Microsoft Excel. Support MS Excel. PDF Viewer Component is a lightweight ActiveX Control which enables your application to display and interact with PDF files. It is identical to Adobe Reader program and adds high speed viewing of PDF documents to your applications easily.Support Adobe PDF Reader.